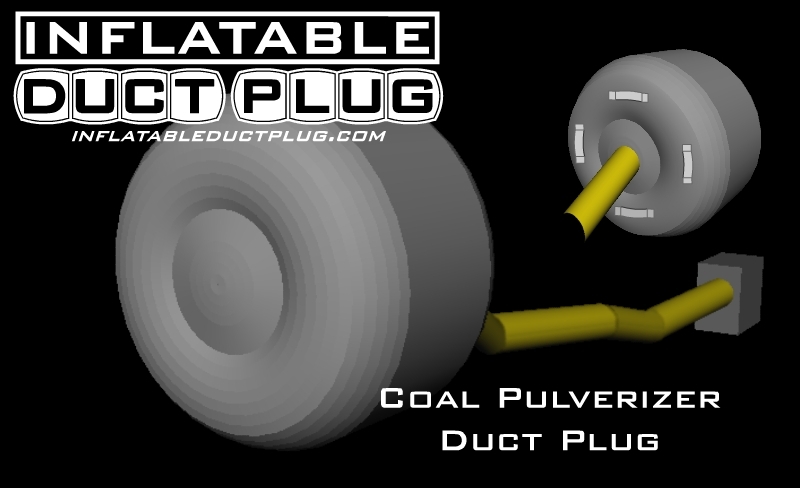 Primary air ducts of Coal Pulverizers may stop functioning at 100%. The dampers within the duct work found in these units can become less effective with time. Our inflatable duct plugs can be configured and fabricated to fill round, square or rectangular ducts in an effort to help seal these aging areas. Silicone Coated Continuous Filament Fiberglass Fabrics and High-Silica materials that are heat rated for up to 500°F (260ºC). Extreme caution should be used when determining the operating temperature and environment that these will be exposed to. Sensors or flow monitoring devices should be noted when planning to insert a foreign object that may cause false readings as a result of unintended insulation. 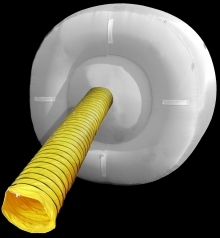 These inflatables are supplied w/ High Temp handles and 8" dia wear strip flex tubing.